While the joke itself may have been created in good humor, it does imply something extremely important. It’s crucial for businesses to compete for higher visibility in search results. Consumers are more dependent on the internet than any other medium, making search ranking crucial for businesses to attract potential customers. More often than not, people only look at the first page of search results. If your brand appears among them, great! If not, you risk losing out to your competitors who rank better in searches. So there is no denying that marketers take search engine optimization (SEO) very seriously. The fight among brands to secure a higher rank in relevant searches has created some unwanted consequences. It’s common knowledge that the algorithm behind search ranking is essentially based on matching keywords. Previously, marketers would stuff keywords into their content, even if they didn’t fit in with the natural flow of the content. To tackle this issue, Google changed their algorithm. Now, these “blackhat” techniques are penalized instead of being rewarded. So marketers are now looking for innovative “white hat” strategies to improve their rankings. One such effective strategy being widely used by brands and marketers is influencer marketing. In this post, you’ll learn how influencer marketing can specifically help boost your SEO. Consider the following example. You are trying to search the internet to find ways to revive your dying succulent plant. When you initially find a company that claims to sell “awesome” gardening equipment that can remedy your problem, you may not be convinced. A blog post in which a gardening expert or blogger has described how they were able to nurture their plants using products from that company, on the other hand, may convince you to try their products. If you employ influencers who have high authority, and influence over your target audience, they can help your marketing efforts in two ways. 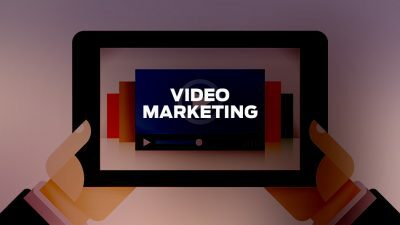 First, they can create great content that showcases how effective your products are in real-life scenarios. Second, when they mention your brand and link to your website, it can boost your credibility in the minds of consumers. Both your internal links and backlinks have a large impact on how high you appear in search results. Your search ranking will improve if high-authority domains link to you. However, getting high-authority domains to link to your content is much easier said than done. Influencer marketing can help you solve this challenge. An influential blogger can create natural backlinks through their content which will greatly help you with your SEO. Some influencers have their own websites, and access to other high-authority domains. If they create content that links back to your site, it builds trust and credibility with both consumers and search engines. Especially if their blogs or websites have high domain authority (DA). 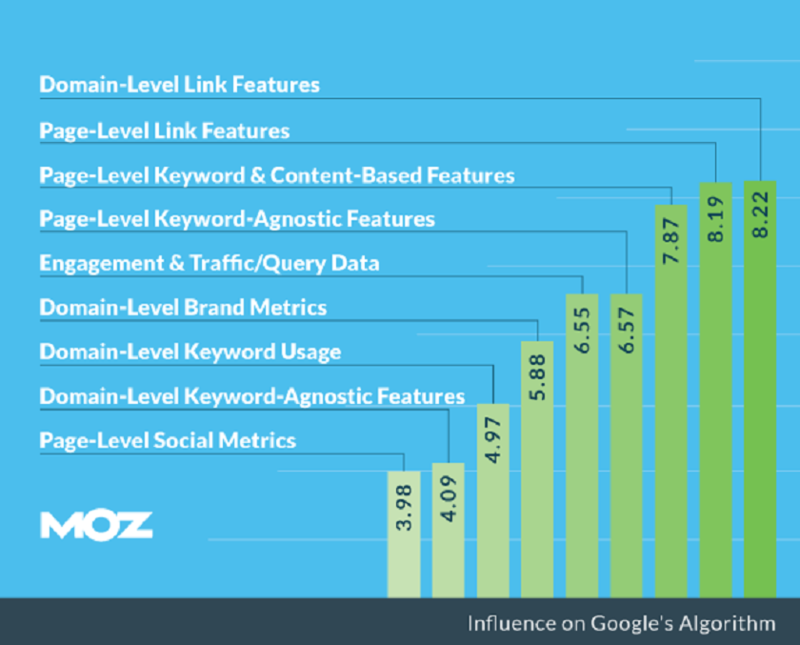 Moz says that link building is the key to improving search ranking and boosting website traffic. 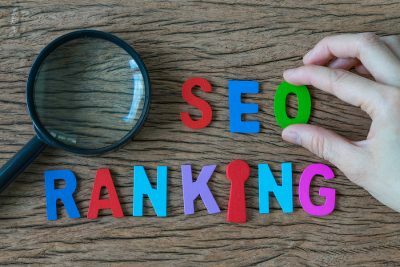 Not only can backlinks help you improve your search ranking and website traffic, but they can also help increase your sales. Another interesting way in which influencers can impact link building, (and hence your search ranking), is when they share content. If an influencer shares your link, it increases the chances of your target audience too, sharing that link. When this link becomes increasingly popular, there is a possibility of it being picked up by high-authority domains. This, in turn, increases your chances of appearing higher in search results. Since marketers realize the effectiveness of influencers to improve their search ranking, they also place more emphasis on guest blogging for the websites of influencers. This not only increases their reach, but also helps generate backlinks, which can improve their search ranking. One important factor that Google looks at while deciding search rankings is the quality of content. While producing interesting content day in and day out might be a daunting task for marketers, influencers can easily achieve it. An important consideration for search engines when they try to distinguish quality content from typical marketing content is the number of shares. Search engines measure how much the content is being shared across various social media channels. If your content is geared towards selling or promoting your products, audiences may not feel the urge to engage with it or share it. But influencers know exactly what engages their audience. So they know what type of content to create, and how to relay your message effectively. 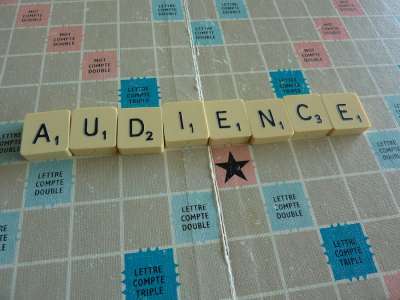 Which means they can help you create valuable and captivating content, which your audience will be more likely to share. Search engines understand that web audiences are more engaged when they are able to find information that is relevant to them. Hence good content always has a better chance of ranking higher in search results. You can get influencers to write guest posts or create tutorial videos for your website or blog so that your website has valuable, shareworthy content for your audience. 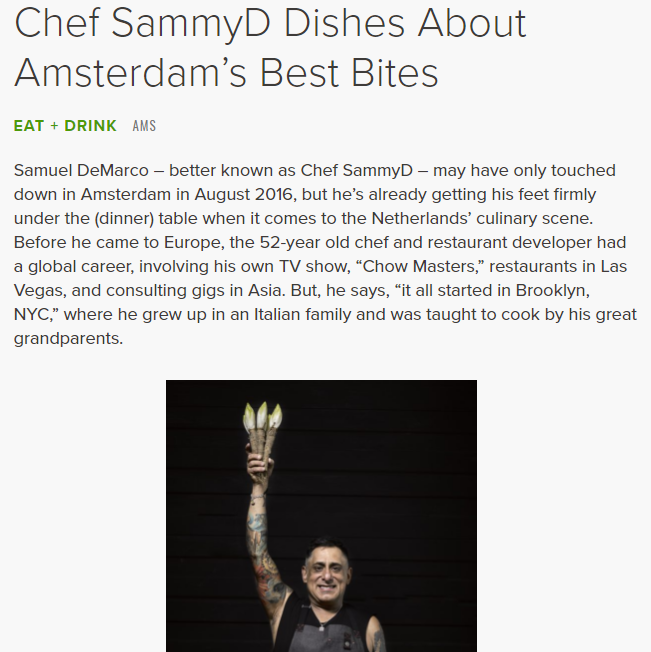 Kimpton Hotels, for example, regularly publishes feature articles in which they share city guides and recommendations from influential chefs. Influencers attach a lot of importance to building long-term relationships with their followers. Such relationships instill trust in the minds of their audiences. And sharing content created by the influencers comes naturally to their followers. As more of that content is shared by wider audiences, one direct consequence is that your reach increases. This, in turn, will boost more traffic to your website. Here’s a great example of this. The blog page views of Welter Heating went up by 609% by using content from local influencers. Another way in which influencers can direct more website traffic is through the guest posts you submit on their websites. It goes without saying that promoting such content across your social channels is essential to increase traffic to your website. Over a period of time, as more and more traffic comes to your website, your search ranking is bound to improve. What’s more is that when such content is curated, or the influencer is quoted in other content, it can also generate backlinks to your website. Thus helping you once again appear higher in search results. Google has already talked about how fresh content can generate better ranking in search. But we know that creating fresh content is no easy task. However, if fresh content is not added regularly, no amount of investment in SEO can help your website rank higher. This is where your influencers can help you, since their only job is to create interesting and engaging content for followers. Plus, their audience looks up to them, so they will be receptive of any content from them. One of the innovative ways to create fresh content, that is sometimes used by influencers, is by leveraging followers. Influencers might ask their followers to come up with original content with a unique hashtag that can be used for your brand. It can even be as simple as coming up with a slogan, a thought, or an image that can be associated with your brand. This helps in making your campaign more successful by increasing your brand awareness among your target market. A great example of this is the campaign launched by Gloria Ferrer that generated 44 million social impressions with the use of the hashtag #GloriousBites. If you keep increasing the number of influencers in your campaign, you will have a larger amount of such follower-generated content. This increases your chances of generating more content with relevant keywords that are related to your brand. Your content remains fresh and updated, and your chances of improving your search rank increase. You can also conduct influencer interviews, wherein you create blog posts or podcasts featuring relevant influencers. This adds value to your content, and you can keep generating fresh pieces of content with new influencers. Anthropologie, for example, regularly publishes interviews with style influencers and style-conscious celebrities like Amber Valetta to keep their content fresh. An important factor to keep in mind here is to choose the right influencers. You need to find influencers whose followers are your target audience. Good influencers are able to build such credible relationships with their followers that their followers trust their judgment completely. With the insane amount of web content that is available, it’s important to find a way to get your voice heard over your competition. We have already discussed how boosting website traffic helps SEO. Another important factor that governs how you appear in search results is the engagement that your content creates. Engagement rates are typically higher when your content is created or shared by influencers. Studies have shown that sometimes audiences rely on recommendations from influencers words as much as they rely on recommendations from their friends. So when you use influencer marketing, you can gain the trust of your audiences. Your content reach and engagement rates can also increase, which will increase your chances of getting more website traffic. This, of course, translates into an increase in your search rankings. Influencer marketing is an increasingly popular marketing strategy today, and its importance should not be ignored. It’s crucial to build and nurture your relationships with these influencers to be successful in the long run. Having a mutually beneficial relationship with influencers can aid your SEO techniques as well. As a business, you can help your influencers by promoting them and increasing their visibility. In return, your influencers can help you with great content that widens your reach and engagement and improves your search ranking. It might take time to build such relationships or audience engagement. However, if you are able to achieve these, they will help you immensely in making your marketing campaigns successful in the long run. Do you have any tips regarding SEO and influencer marketing that you’d like to add? Let me know in the comments below.